Mindful Management: Are You Getting the Best from Your Colleagues? | HuffPost \" focuses on practical, thought-provoking ideas about giving. \r\nKey projects include writing for Annenberg Alchemy, LA n Sync and the Annenberg Space for Photography -- all programs of the Annenberg Foundation. \r\nHe has written a series of 19 donor guides for individuals and families. Published by Rockefeller Philanthropy Advisors. Funded by the Gates Foundation. The series is called Philanthropy Roadmap. \r\nHe also researches, writes and manages the publication of life stories and organizational histories through his business: Legacy Books for Future Generations. \r\nSteven was a journalist for more than two decades, spending 10 years as the producer of several national news programs for the public broadcaster Television New Zealand. He is the former Director of Development & Public Affairs for the nonpartisan nonprofit Nuclear Age Peace Foundation. \r\nHis serial novella is now running on @JukePopSerials - it's called A is for Amy & Adonis. \r\nSteven integrates story and strategy for organizations to improve outreach, productivity and effectiveness. Nonprofit foundations are a particular focus. \r\nHis blog \"Thinking Philanthropy\" focuses on practical, thought-provoking ideas about giving. How often do you judge your workmates? Be honest. Managers evaluate employees. It's part of our jobs. We use data, of course -- performance metrics, targets and reviews. But we often start with a quick and informal assessment based on the first things that come to mind about the person. Real potential or real procrastinator? This kind of quick judgment can prove useful, but it can also eliminate the opportunity for an employee to show personal development or reveal qualities you didn't know about. The judging process also limits compassion. A performance target can become more important than the person who's meant to achieve it. When that happens, the work relationship suffers. And when an employee feels he doesn't really matter as a person to management, alienation and under-achieving often become the norm. What else are we supposed to do? It's a business not a church. Think about your own performance. Are you getting the best from your colleagues? If there were a better way -- would you give it a try? 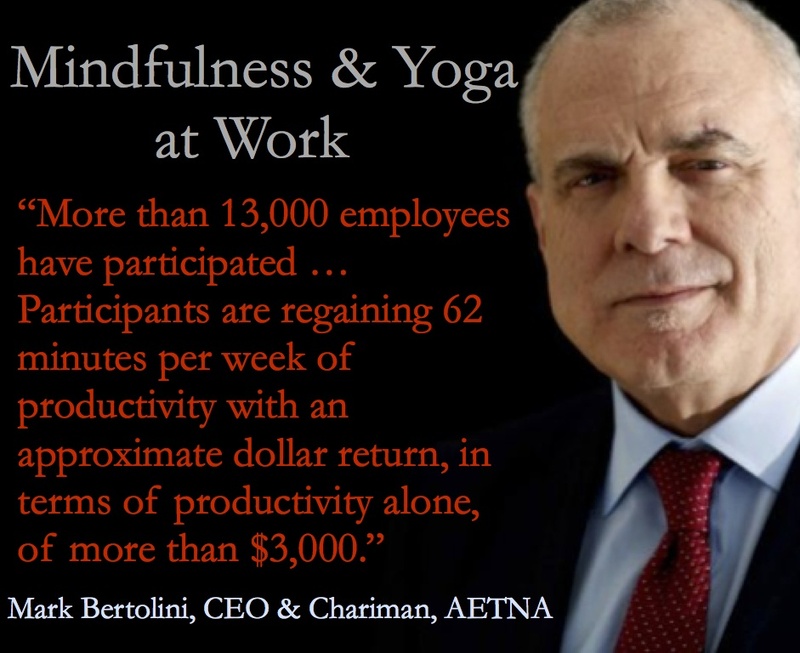 You can learn why mindfulness* at work is a bottom-line issue from Aetna's Mark Bertolini. And then you can learn why it's a management issue from Eckhart Tolle. 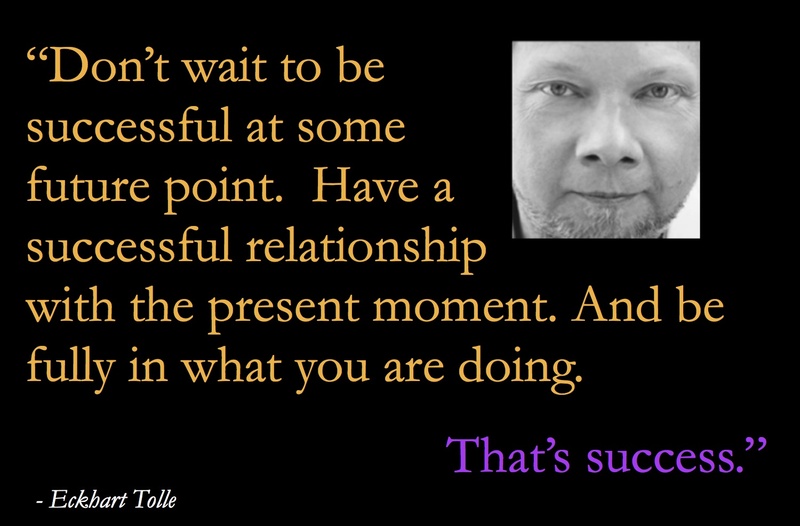 Tolle, a spiritual teacher and author of the book The Power of Now, gave an explanation of a fresh approach recently in a video excerpt entitled "How We Can Support Others." In the video, Tolle refers to people who want to help others find consciousness and presence, but I think the strategy can work well in any relationship. In the work world, these steps are particularly potent because people thirst for managers - and leaders - who recognize them as whole people. See what answer comes to you as you listen. None of this means that you cease to be decisive and guide your team firmly at appropriate moments. Instead, I see this kind of mindful management as a way to augment your leadership by being more aware of those you work with, by building stronger relationships and therefore a more engaged work force. What do you bring into your meetings besides your laptop? 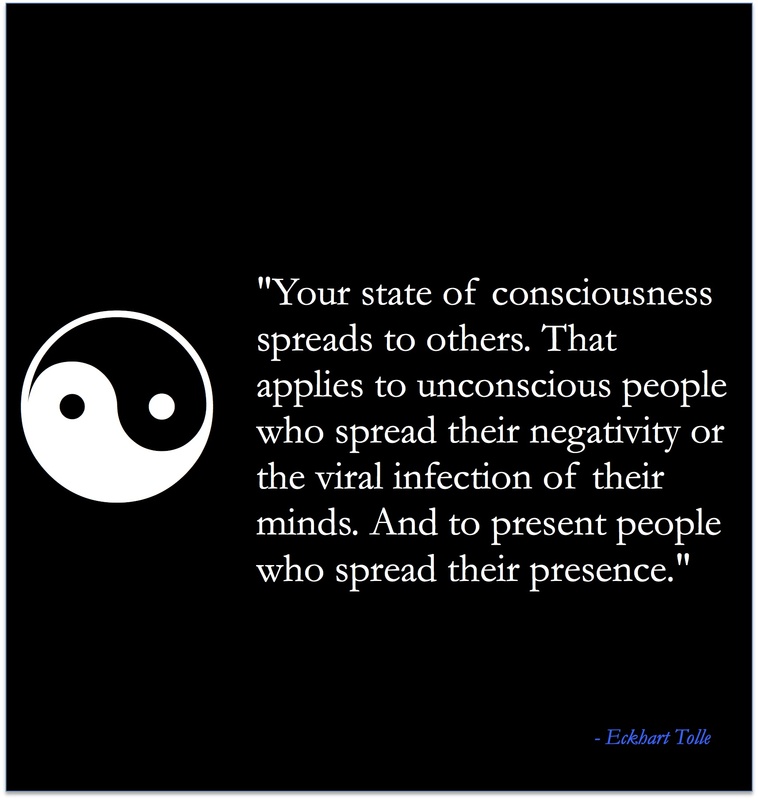 Is it awareness or negativity? Is it judgment of your colleagues or compassion for them? Is it an open-ended, open-minded question? Or have you written off the meeting before it's begun? How often do you look into people's faces, their eyes? And how often are you texting or checking email even when your colleagues are talking? 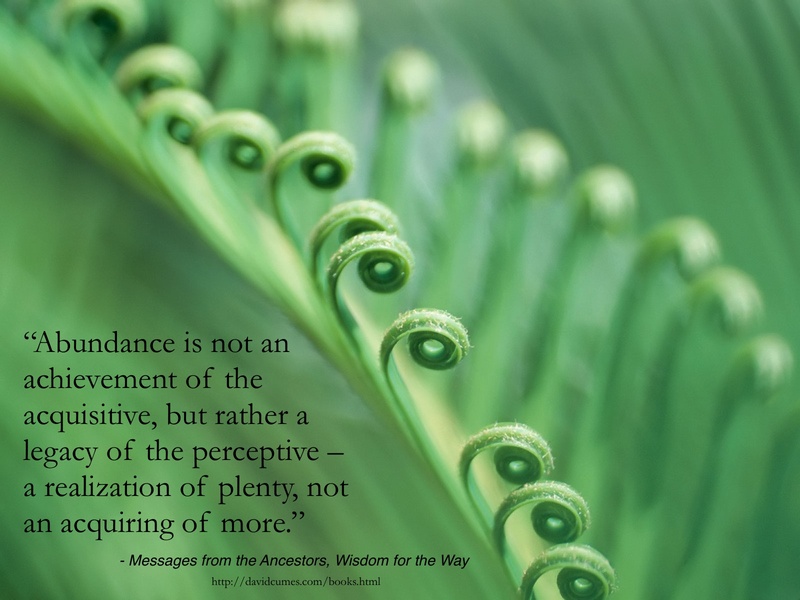 If the meeting is so boring or pointless or long without merit, how can you be present so as to change the feel -- even the direction -- of what's happening? Does he or she feel acknowledged and welcome as a human being? Sometimes we get so busy (or disaffected) that a colleague becomes an obstacle or a tool. In other words, less than a person. What can I do to make you feel welcome as we work together? You might be greeted with silence and a bemused expression. Which is okay. Just wait and see what happens. Be comfortable not knowing. If you are genuine in wanting them to feel welcome, that will be a powerful message all on its own. When I say ego, I don't just mean a sense of self-importance. I'm talking about the self-centeredness that skews our attention and therefore our take on the people around us. "Much of the suffering and discomfort we experience at work--and elsewhere--stems from our deeply held views, opinions, and ideas that become lenses through which we perceive the events of our lives." This is where mindful management is liberating and empowering. It allows us to witness and participate in our work relationships as they unfold rather than act from a script in our mind. It might seem strange, but being present with your co-workers is a wonderful gift. Try it. Look and listen. Acknowledge them and honor the relationship with attention. Acknowledge your intuition as well. My guess is that you will manage from a calmer and more fulfilling place - and your own work experience will seem less fraught, less reactive and more enjoyable. "Mindfulness means paying attention in a particular way; on purpose, in the present moment and nonjudgmentally." Mindfulness at work has become a popular topic as of late. And research is starting to point to its utility in the business setting.